It is understood that the Employer has clear and established responsibilities for the training and education of federal government workers in relation to various aspects of their work and work environment. The Joint Learning Program (JLP) does not replace such educational and training responsibilities. All programs established under the auspices of the JLP are for the benefit of Union members of the Core Public Administration membership and management counterparts. With full agreement of both the Public Service Alliance of Canada and the Employer, a third party may participate in the JLP. In this situation the "third" party will respect all relevant criteria, principles, guidelines and Terms of Reference set out for the JLP. The JLP will be national in scope with central administration. Respecting regional diversity and taking regional needs into consideration will be a priority of the JLP. These include, but are not limited to, learning needs, method of delivery, format and content of the Program projects and/or initiatives. Joint learning will take place in various models and formats depending on the desired outcomes. The parties will have the flexibility to design and deliver initiatives that meet their common needs. A joint learning initiative will be defined together by the parties and must meet their common goals, missions and learning objectives. The process is characterized by both parties having an equal voice in consensus decision-making and equal ownership of the outcomes. This means that the content and delivery of joint learning initiatives must be fully agreed to by both parties or it cannot be considered joint. 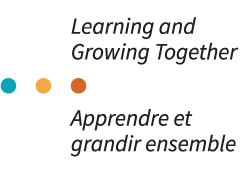 The joint development and delivery of learning projects and/or initiatives places the focus on the needs and perspectives of both parties and formally recognizes where their missions and values are complementary. This is achieved with an emphasis on broadening opportunities for participants, respecting workplace diversity and fostering a climate of mutual trust and respect. Currently established Union/Employer structures at the local, regional and national levels should be used to identify and assist in the implementation of joint learning initiatives. Only jointly proposed learning initiatives will be considered under the auspices of the JLP. Opportunities for learning will be widely disbursed. This may include maximum participation rates per individual. Where applicable, assistance will be provided to ensure that there is broad and equitable access to learning initiatives. Both the Union and the Employer must respect the ownership rights of learning materials that have been developed separately. Conversely, all learning materials that are jointly developed by the Union and the employer must be recognized as a joint product. The developers of learning materials must mutually agree and consent to the circumstances of their use. Program planning is key to the success of the JLP. During the course of such planning, it is important to discern between National and Regional projects and/or initiatives. In addition, it will be critical to allow for flexibility in delivery. A pre-established plan which will provide for joint, central design of projects and widespread, nationally coordinated delivery. Once the core program has been established, joint requests for the development of new learning projects will be assessed and approved by the Joint Steering Committee, will be added to the core program. These requests may include projects relating to conflict resolution/ problem solving. One of the guiding principles of the JLP is to ensure that all eligible departments and their respective Union members of the Core Public Administration have access to JLP workshops and that the Program’s resources are distributed equitably. However, departments are increasingly turning to the JLP to help them meet organizational or learning objectives which require the delivery of several workshops and in some cases, to all of their employees across the country or in a given region. In order to meet this demand while still ensuring that other departments continue to have access to the Program's resources, the JLP has entered into partnerships through the signing of a memorandum of Understanding with certain departments. Contract and/or casual peronnel expenses. Core Program resources can be converted to Strategic Partnerships Programming where the need is clearly established and/or where unused resources are forecast. Strategic Partnerships shall be costed and pre-approved. Approval and payment of Strategic Partnerships expenditures shall be made from the Program Administrative Office (Co-Directors). Strategic Partnerships resources can be converted to Core Programming where the need is clearly established and/or where unused resources are forecast. Evaluation should encompass an assessment of each project and initiative identified, as well as an assessment of the overall Program. These should be assessed against the Program Objectives. Program evaluation methodology should take into account both quantitative and qualitative assessments. Participation by members from equality seeking groups. Whether or not there were distinct benefits due to the "jointness" of the project / initiative.